What type of travel are you consenting to? I have sole custody of the child and do not legally require the consent of any other person to travel with the child. Signed on this ________ day of ________________, ________. What is a Child Travel Consent form? A Child Travel Consent allows minors to travel without their parents or legal guardians being present. 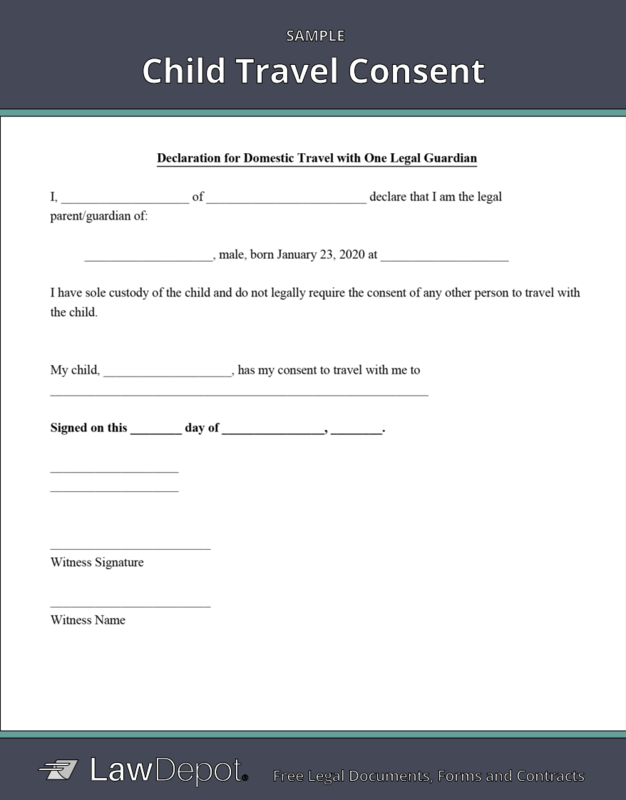 This form can be used when a child will either be traveling alone or with another adult who is not their legal guardian (for example, a grandparent, aunt or uncle, friend, teacher, etc.). 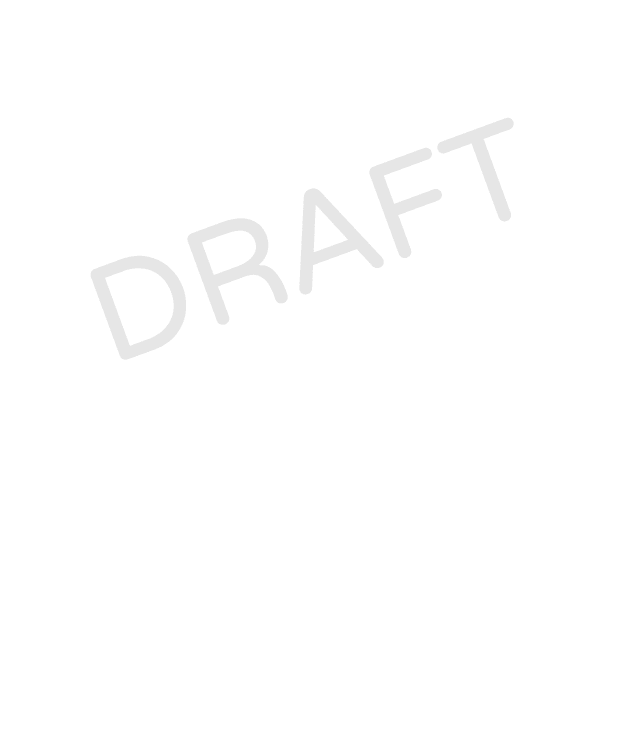 This document is often used by separating couples, particularly when one parent needs to travel with the children and without the other parent being present. Do I need a Child Travel Consent form? If you are traveling with a child and are not their parent or legal guardian, you should have written permission indicating that you can travel with the minor you are traveling with. They have shared custody of their children (during or after separation or divorce) and only one parent will be traveling with the child. Their son or daughter is traveling abroad as part of a school trip. Their minor is traveling alone and will be taking a plane, train, or ship to their destination. Their children are going to be cared for by a temporary caretaker, and there is a chance they may travel during that time. Their child or minor will be traveling with friends or family members. If you're asked to provide travel authorization for a child or minor and do not have one, you may be prohibited from continuing to your destination. The child's age may play a role in whether you're asked for consent by border agents. For example, you are more likely to be asked for consent if traveling with a toddler as opposed to a teenager. What should I include in my Child Travel Consent document? Do I also need a Child Medical Consent form? A Child Travel Consent form does not allow the parent or guardian to temporarily make medical decisions for your child or minor. To give authority to a chaperone to make medical decisions in your stead, you will need to complete a Child Medical Consent form, which details authorized medical treatments, health information about the child, the identity of the person being granted responsibility, and other specific information. Why should separating parents sign a travel consent form? A Child Travel Consent is recommended any time a child is traveling without their legal guardian or guardians present. However, even a parent with sole custody (meaning the parent has the legal authority to make all the decisions for their children) may be asked to provide consent documentation, unless they have a valid Separation Agreement or court order allowing them to travel with the child. For example, when a separated or divorced couple puts a custody arrangement in place, they can include terms for child travel in their separation or divorce documents that may be used like a travel consent letter. Depending on the size of the agreement or court order, a Child Travel Consent form may be easier for border agents to handle. Parents who do not have an agreement or court order, like parents starting the separation or divorce process, should have a consent form when traveling with their children and without the other parent. Do I need a Child Travel Consent if I am a temporary guardian? It is recommended to obtain a Child Travel Consent even if you only have temporary guardianship over the children you are traveling with. This is so you have proof you can travel with the children if your guardianship papers are deemed insufficient. Does a Child Travel Consent form need to be notarized? You may be required to have your document notarized (i.e. certified by a notary public) depending on where you plan to travel. However, even if notarization is not required, it is strongly recommended. Without a notarized consent, you could be delayed at the airport or prevented from traveling further by border protection officers. Do I need a different Child Travel Consent for domestic and international flights? You can use the same travel consent letter for domestic and international flights but may be required to have your document notarized for international flights, depending on which country you wish to enter. It's recommended you use travel consent letters for each trip and include the date and location of travel as well as the date and location of any flight layovers. Personalize your Child Travel Consent template.